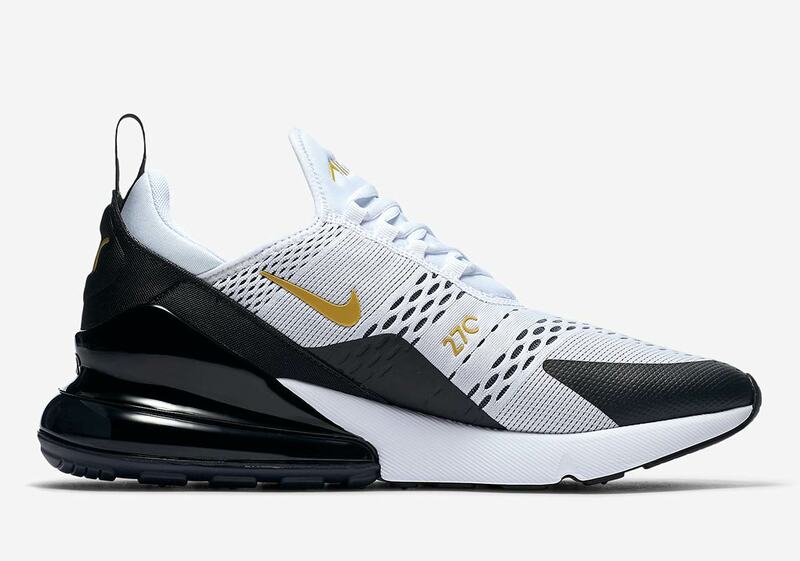 The Air Max 270 has been one of the Swoosh Brand’s focal silhouettes this summer, loved the world over for its sleek upper and sizeable Air Max bubble. 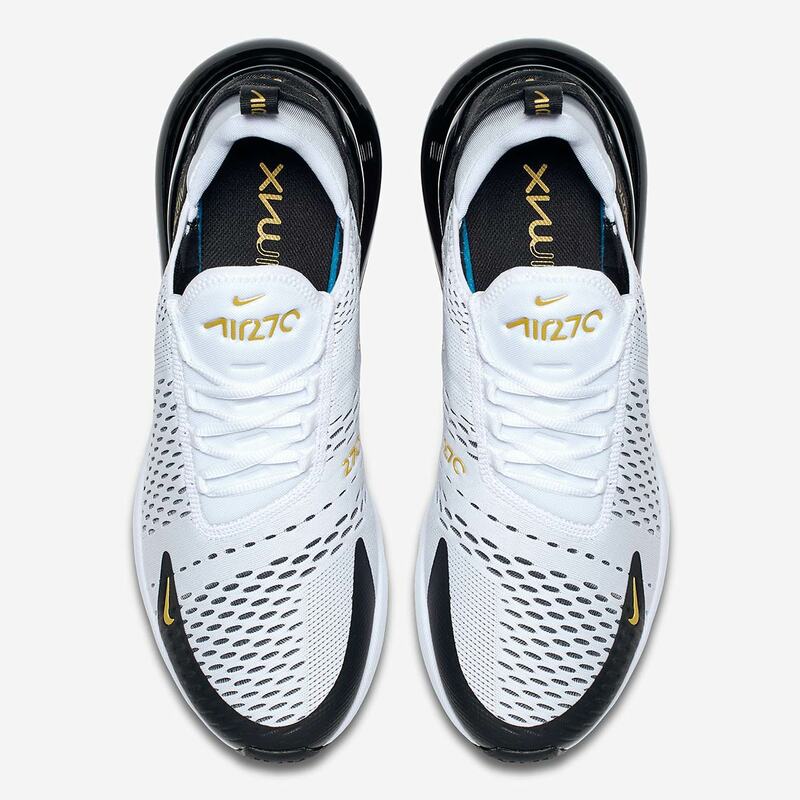 Now the striking shoe has dropped in a championship-ready white/black/gold—perfect no matter if you’d rather take home an NBA Championship trophy like Kevin Durant or a World Cup trophy like Kylian Mbappe. 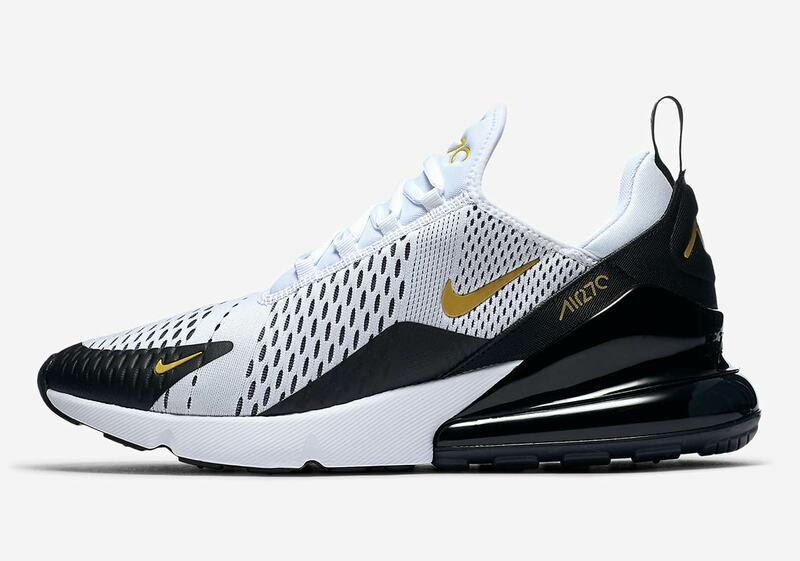 Boasting a white upper with black accents on the heel, lower midfoot and toebox, the shoe’s championship-style gold accents arrive on all the branded Swoosh and Air 270 hits to provide a victorious aesthetic. 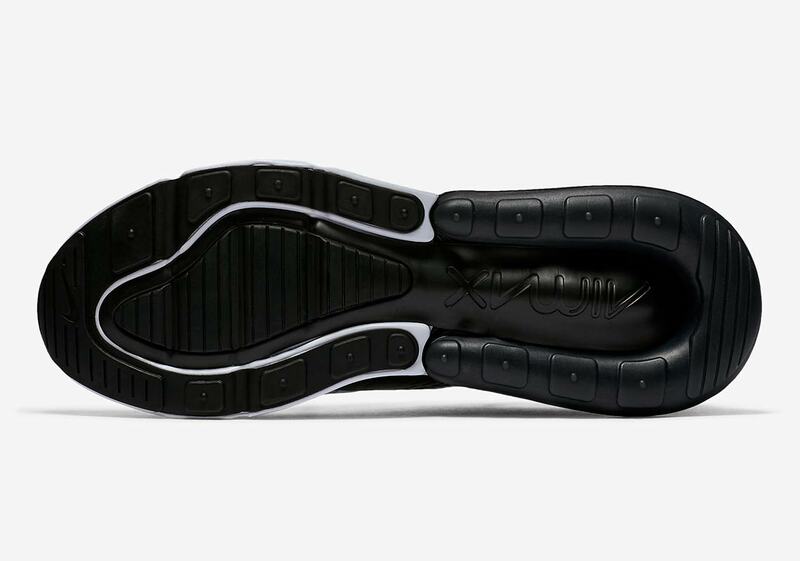 A white EVA foam midsole and black heel Air Max bubble help hoist the trophy-style upper both literally and figuratively, completing the look. 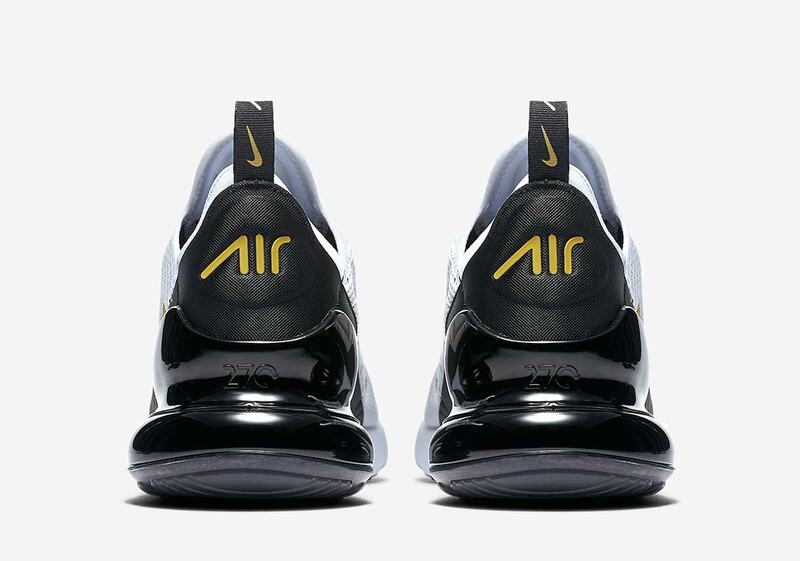 Want to go for the gold yourself? 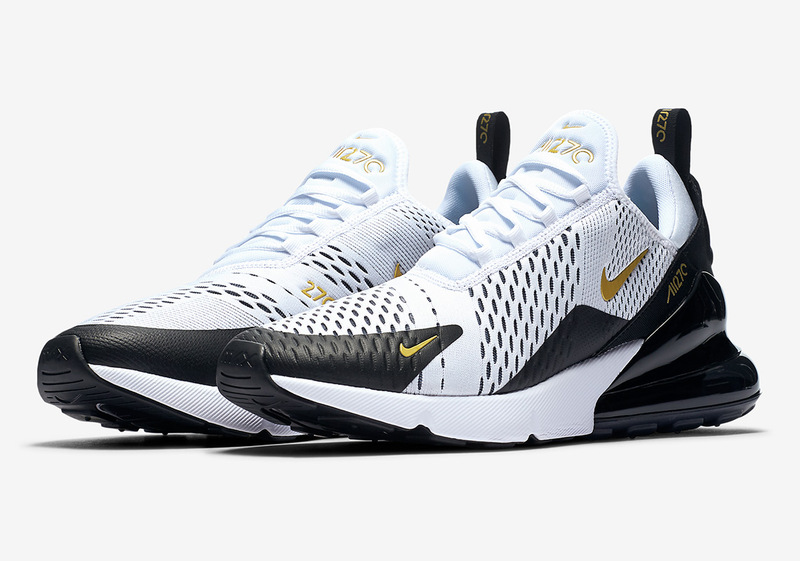 These victorious Air Max 270s are available now at Nike retailers like Finish Line. Detailed Look At The Air Jordan 1 Retro High OG "UNC"